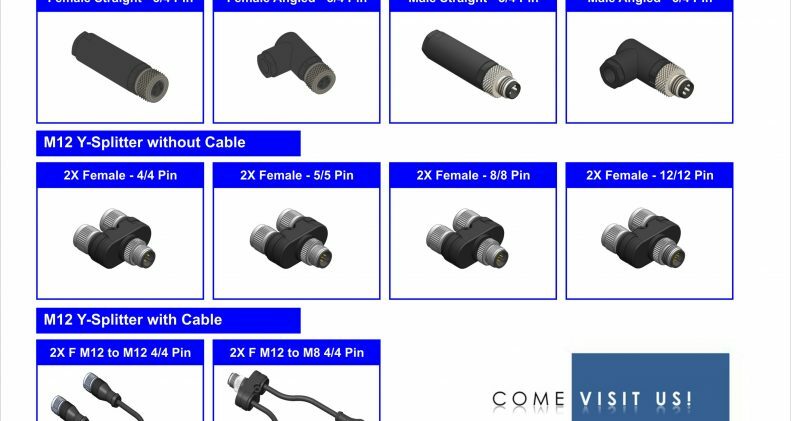 Katlax has recently launched M08 User-wired/ Screw type connectors in 3 & 4 pin configuration. 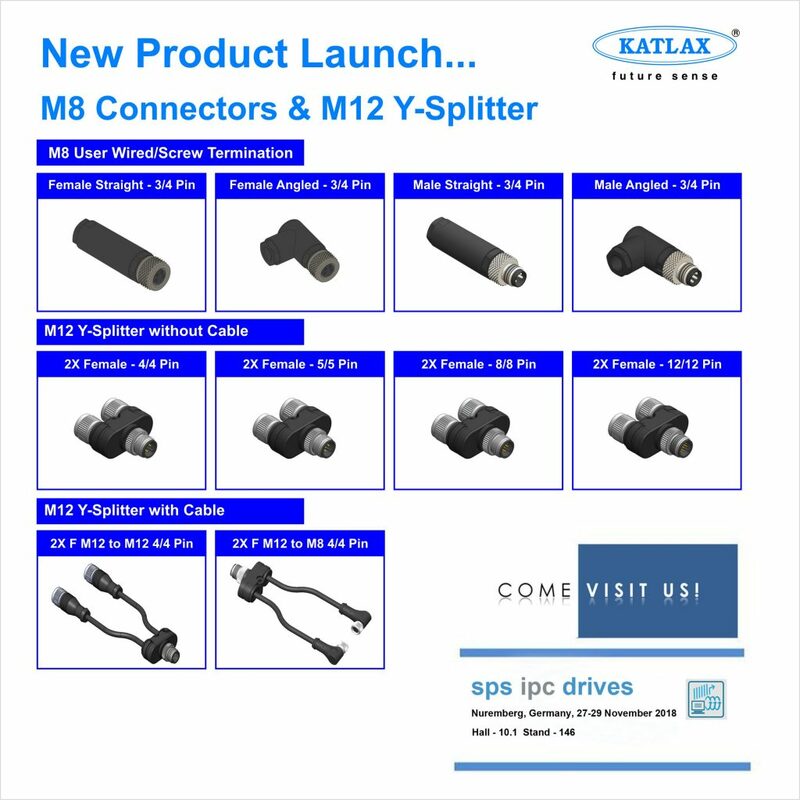 Also we have launched M12 Y-Type splitters during our exhibition at SPS IPC Drives, Nuremberg. Available in combinations of 4,5 8 and 12 pins and can also be customized with molded cables.